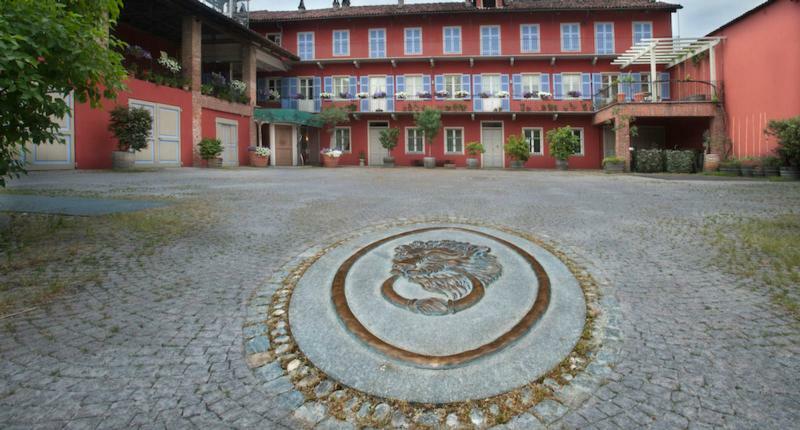 Located in Canale, in the heart of the Roero DOCG in Langhe, the Monchiero Carbone winery was established in 1990 with the goal of reuniting vineyards owned by two branches of a family (Monchiero and Carbone) with winemaking tradition dating back to 1918. Today it is owned and operated by husband and wife, Francesco and Lucrezia Monchiero, who specialize in creating Arneis from the best vineyards in the Roero zone. On the label, as a constant reminder of their family's history in the area and the traditions they seek to uphold, the Monchieros have added the phrase (from local dialect) "Ogni uss a l'ha so tanbuss" – "Every door has its knocker." The inspiration behind the Monchiero Carbone winery can be traced back to the generations of both families who earned their livelihood as vine-growers. On the Monchiero side, maternal grandmother, Clotilde Valente, used her wedding dowry to purchase the Monbirone vineyard, dedicating her life to harvesting its vines. In the early 1900s, Enrico Carbone (nicknamed Ricù) married Lucia Gioetti, the beautiful daughter of a wealthy tenant farmer. Known as "the blonde", Lucia brought with her a dowry that was also used to purchase land. Ricù immediately planted a vineyard of Arneis on the plot acquired on Tanon hill (Tanùn in the local dialect), and began to produce a sweet white wine often served on celebratory occasions. While they are not the only events leading to the creation of Monchiero Carbone, they are the most significant turning points in the family history. Aromas of white spring flower and yellow stone fruit lead the way on this easygoing but generous white. The round, juicy palate offers mature peach, ripe pear and a white almond note. Fresh acidity balances the creamy flavors. Wine Enthusiast 88"Aromas of white spring flower and yellow stone fruit lead the way on this easygoing but generous white. The round, juicy palate offers mature peach, ripe pear and a white almond note. Fresh acidity balances the creamy flavors."